Mehndi, otherwise known as henna, is a paste associated with positive spirits and good luck. 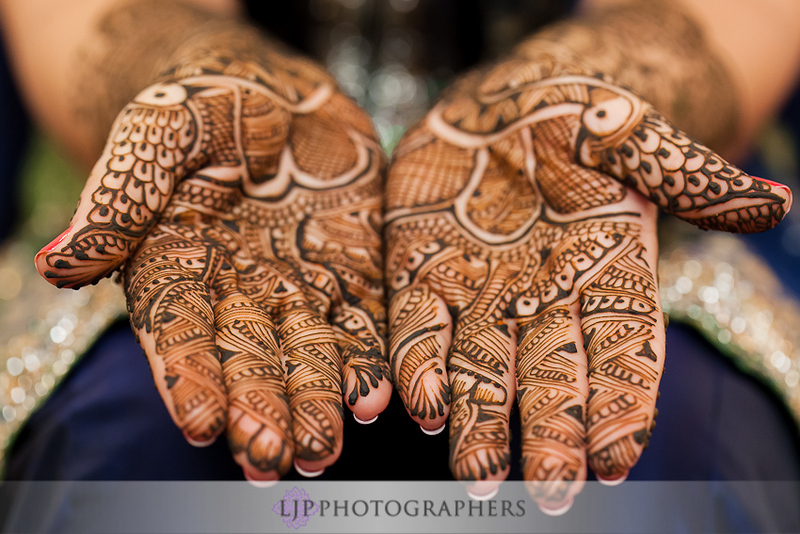 Indian Wedding tradition calls for a Mehndi ceremony to be held the night before the wedding as a way of wishing the bride good health and prosperity as she makes her journey on to marriage. 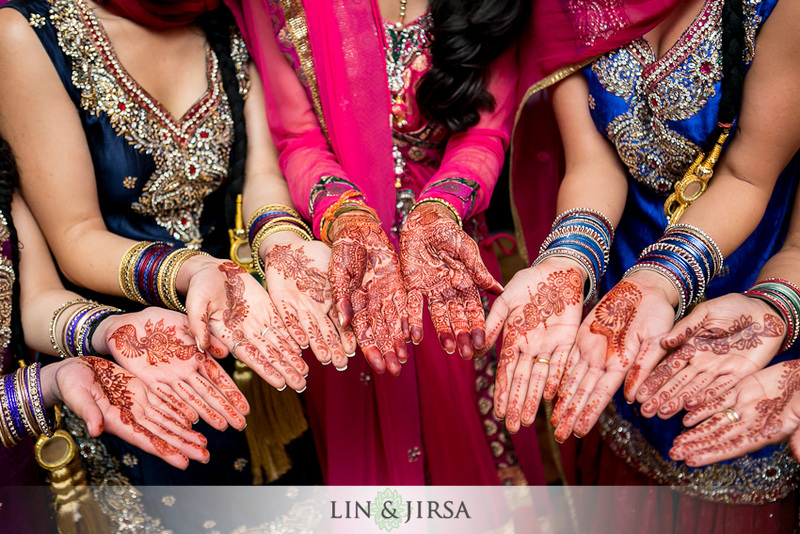 The Mehndi Ceremony is organized by the Bride’s family bringing together the female components of each side. While Mehndi is mainly for females, male relatives are invited to join in on the party that comes after the Bride has completed her henna. The core significance of applying Mehndi is to utilize its natural medicinal herbal remedies, cooling the body and relieving the Bride of any stress before her big day. Henna is applied to both the hands and the feet as a means of cooling the nerve-endings of the body, preventing the nerves from tensing up. The Bride’s family either calls a Mehndi/Henna Artist to come to their home or a family relative to create designs for the Bride and her guests. 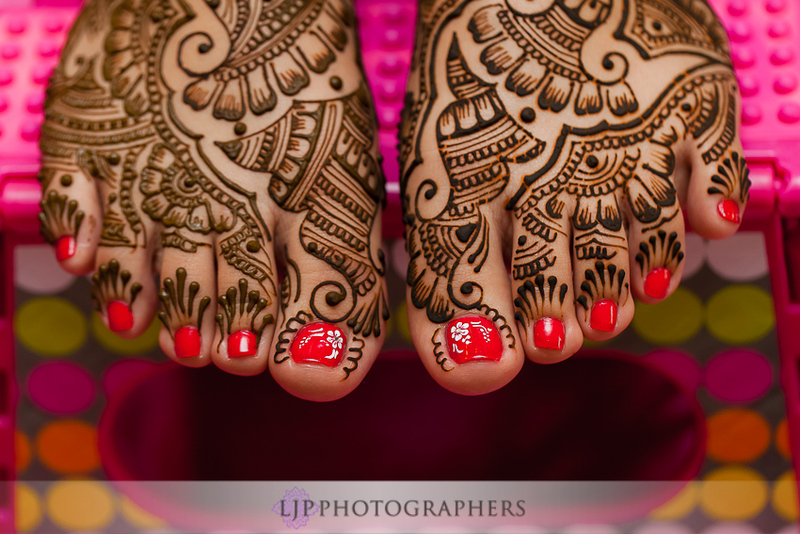 While traditionally Indian Vedic Mehndi designs were applied to the Bride, nowadays Brides call inspiration from Indo-Arabic and Arabic designs to adorn their hands and feet. You may find that certain artists include animals, nature elements, Hindu Gods, or even the Bride and Groom represented with names or figures. 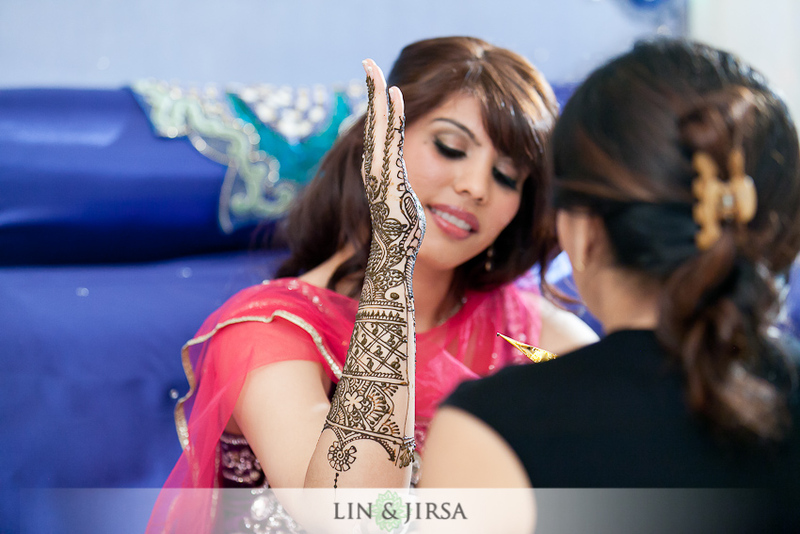 After applying the Mehndi, the Bride must wait for the Henna to stain her hands and feet to create lasting designs. It is commonly believed among Indian tradition that the darker the color of the Bride’s Mehndi, the more her husband will love her. 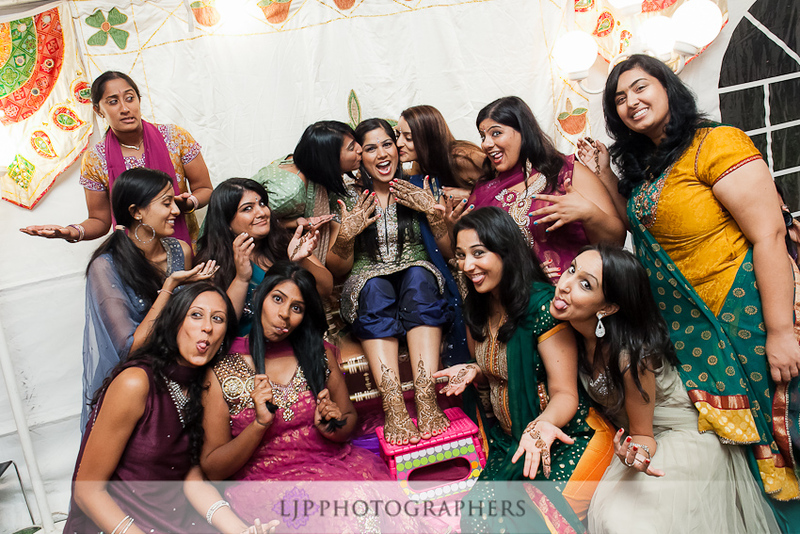 Check out these Mehndi artists that we absolutely love working with! 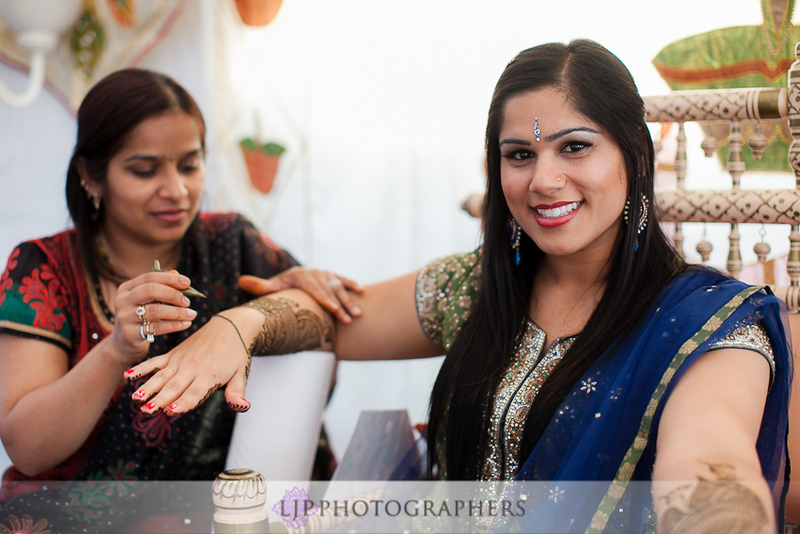 Modern Indian Weddings have adopted a new tradition of adding song and dance to the traditionally Mehndi Ceremony. Family members will join together and perform choreographed dances for the Bride and later bring the Bride on the dance floor to celebrate her upcoming wedding. In many ways, the Mehndi serves as a second Sangeet, bringing families together to celebrate the couple before they tie the knot. Check out some of our favorite henna artists here!